To properly address the project objectives and work plan, the EnzOx2 consortium brings together three highly-specialized SMEs in the areas of special (basidiomycete) enzymes (JenaBios), 5-hydroxymethylfurfural production and management of its properties (AVA Biochem) and chiral chemicals and active pharmaceutical ingredients (Chiracon); two world-leading companies in the sectors of industrial enzymes (Novozymes) and flavour & fragrance ingredients (Firmenich); one technological centre dedicated to the plastics sector (AIMPLAS); and six research/academic partners with high expertise in oxidoreductase structure-function and engineering (CIB and ICP), their application in different biotransformations (TUDresden and IRNAS) and the optimization of enzyme-based bioprocesses (TUDelft) and LCA analysis and biocatalyst immobilization (USC). The latter academic and research partners will contribute to enzyme discovery and improvement (using protein engineering tools) and will develop the enzymatic technologies at the lab scale, using the enzymes provided by Novozymes and JenaBios and those obtained at their own labs. TUDelft will contribute to the final set-up of reaction conditions and downstream processing by the enzyme-using companies (AVA Biochem, Firmenich and Chiracon), who provide the enzyme substrates to be used by the other partners. 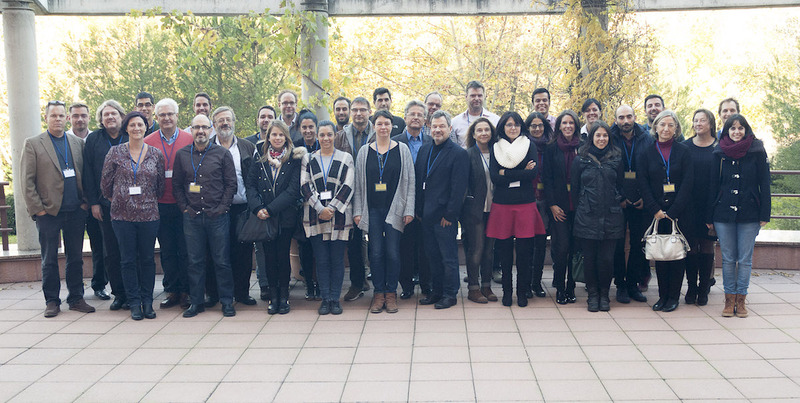 Finally, all the companies, together with the plastic technology centre and the group from USC, will contribute to the evaluation of the technical (economic and environmental) feasibility of the new bio-chemical technologies developed, and their integration into lignocellulose biorefineries. 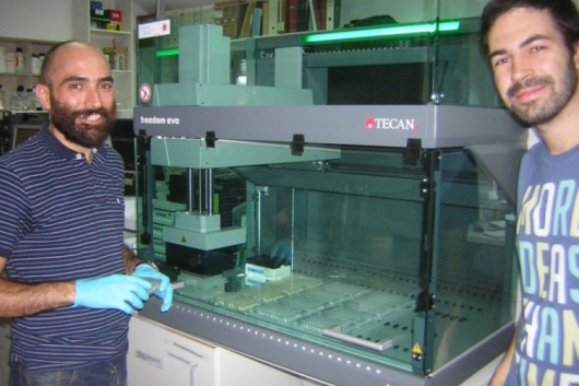 Angel T. Martínez is Research Professor of CSIC and co-leader of the group of Biotechnology for Lignocellulosic Biomass of the Environmental Biology Department at the CIB. He is member of ACS, ASM and TAPPI, with around 300 publications mainly related to oxidoreductases and microbial biotechnology. He has coordinated several projects of Industrial Biotechnology from FP3 to FP7, such as INDOX (KBBE-2013-7-613549), PEROXICATS (KBBE-2010-4-265397), BIORENEW (NMP2-CT-2006-026456), PELAS (QLK3-1999-00590), PITCH (QLK5-1999-01357) and AIR2 CT93-1219. Description of the group The group of Biotechnology for Lignocellulosic Biomass has wide expertise in microbial enzymes of biotechnological interest. It is part of the Environmental Biology Department of the CIB, the largest Biology institute of the Spanish Research Council (CSIC). 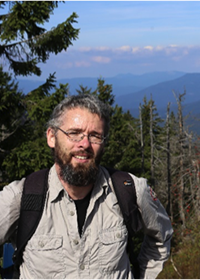 The contribution to EnzOx2 will be led by Dr Francisco J. Ruiz-Dueñas, CSIC Tenured Scientist, who has large experience in heme peroxidases (molecular biology, structure-function and engineering) resulting in ~65 publications. 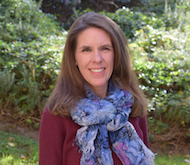 Dr Susana Camarero, CSIC Tenured Scientist with ~70 publications devoted to ligninolytic fungi and oxdoreductases for biotechnology applications will also be involved in the project. 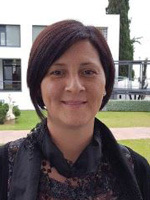 Dr Marta Pérez-Boada, Project Manager with scientific background in the field of heme-peroxidases, will be in charge of the Project Secretariat (see Contact section) assisting in project coordination, management and dissemination. Main role in EnzOx2 The main contributions of CIB will be in oxidoreductase engineering and in the development of an enzymatic technology for the production of sugar-derived building blocks. Minor contributions are expected also for some specific enzymes and techniques available at CIB. 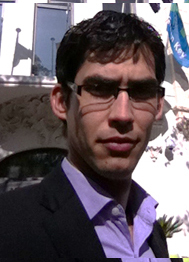 Project Coordination will be performed at CIB by Prof Angel T. Martínez. The Coordinator and Project Secretariat will be assisted by the CSIC European Programme Unit in those aspects related to Consortium Agreement management and project administrative coordination. Reina Mercedes 10, E-41012 Seville, Spain. 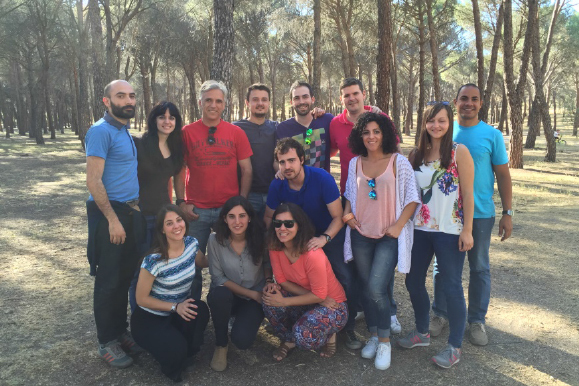 Description of the group The group belongs to the Department of Plant Biotechnology at IRNAS (one of the CSIC institutes in the area of Agriculture), and has two senior members, Dr Ana Gutiérrez and Dr José C. del Río who have high expertise in the chemical and structural characterization of lipids and lignin by different analytical techniques. Additionally, they have expertise in the evaluation of the structural modifications of these organic fractions after industrial processing, and chemical or enzymatic treatments. 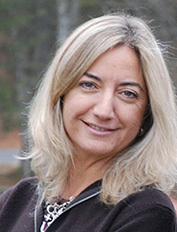 The IRNAS contribution to EnzOx2 will be led by Dr Ana Gutiérrez, CSIC Research Scientist, current Vice-director of IRNAS, recent elected member (2015) of the International Academy of Wood Science (IAWS) and of the IAWS Academy Board (2016), who has ~130 SCI articles and has participated in the coordination of 5 EU projects. Other members of the group are Dr Jorge Rencoret (with expertise in 2D NMR, thioacidolysis and GC-MS) and several PhD students. Main role in EnzOx2 The main role will be the study of the reactions of oxyfunctionalization (hydroxylation) of aliphatic compounds (basically saturated/unsaturated fatty acids, and terpenes/terpenoids) using peroxygenases. 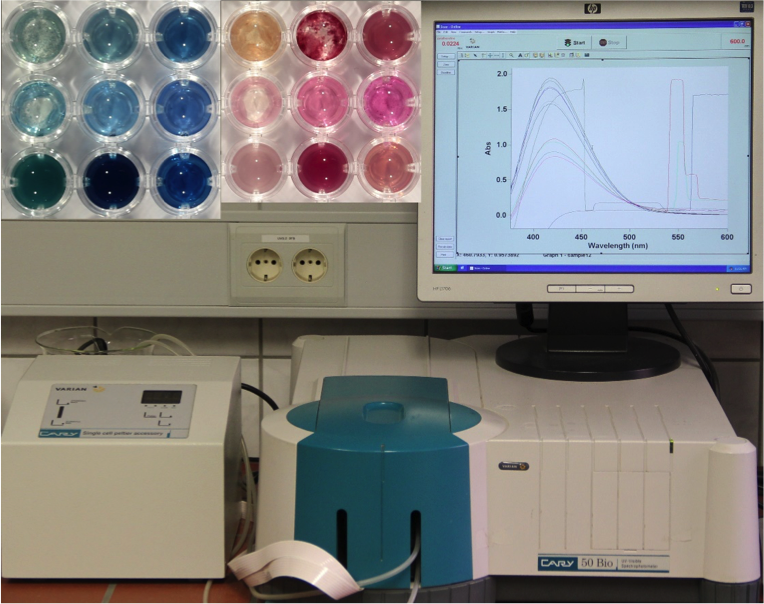 The products will be analyzed mainly by GC and GC-MS using short- and medium-length high-temperature capillary columns. Additionally, pre-treatment reactions using laccases will be investigated by following the changes produced in the lignin polymer using 2D NMR, among other techniques. IRNAS will also contribute to management in WP7 contributing to Dissemination of results. 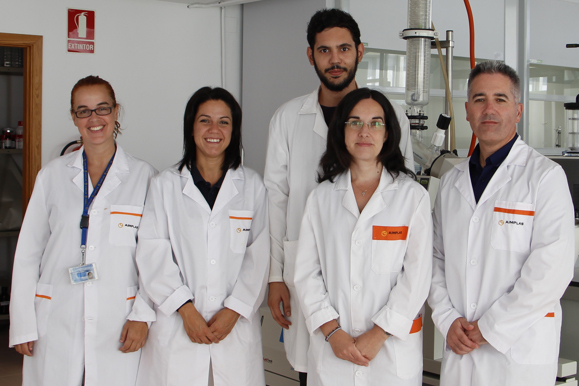 Description of the group ICP is the main institute of the catalysis area of the Spanish CSIC. 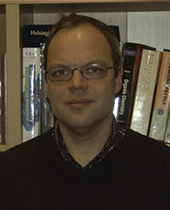 The Directed Enzyme Evolution group of the CSIC Institute of Catalysis is led by Miguel Alcalde, and primarily focuses its research on the engineering of enzymes for a wide range of biotechnological purposes; the development of high-throughput biomolecular screening tools and genetic methods for library construction and exploration, as well as synthetic biology studies for environmental and energy applications. The laboratory has participated in several consecutive European programs and research contracts with industries with several patents and ~70-SCI papers in the field. Main role in EnzOx2 The ICP contribution will be dedicated to improve some of the selected enzymes (AAO and peroxygenase) for specific target reactions (oxidation of FFCA, and terminal hydroxylation of fatty acids, respectively) using molecular directed evolution approaches. Two members of the ICP team in the laboratory. Markt 23, D-02763 Zittau, Germany. Description of the group The International Institute Zittau (IHIZ), a former small state university in Saxony in the triangle where Germany, Poland and the Czech Republic meet, has been, since January 2013, a Central Academic Unit of the Dresden University of Technology (TUDresden), the only excellence university in East Germany. IHIZ was founded in 1993 and is especially dedicated to the joint education of German and foreign Master and PhD students (International Institute Zittau). 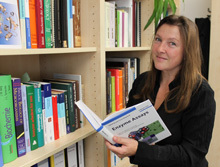 The Department of Bio- and Environmental Sciences consists of five research groups (Mycology & Enzymology, Bioinorganic Chemistry, Environmental Chemistry, Environmental Process Engineering, Hydrology) and has, at the moment, 26 members (3 technicians, 4 Master-, 13 PhD students, 2 postdocs, 2 senior scientists, 2 professors). Moreover, more than 50 visiting scientists from 14 countries have worked over the last years at the department. The research line of the department deals with the functional biodiversity of microbial enzymes, with special emphasis on the biodegradation of natural polymers and the oxyfunctionalization of organic molecules. During the last years, the scientific interest has focused onto peroxygenases, their catalytic cycle, molecular background and eco-physiological relevance. 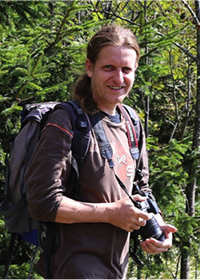 Within the EnzOx2 project, the following people will be involved: Martin Hofrichter (professor, head of the department with >150 publications), Christiane Liers (assistant professor), René Ullrich (PhD, senior scientist), Harald Kellner (PhD, postdoc), Marzena Poraj-Kobielska (PhD, Postdoc), Alexander Karich (PhD student) and Ulrike Schneider (technician). Moreover, graduates preparing their MSc theses will be involved in the experimental work. 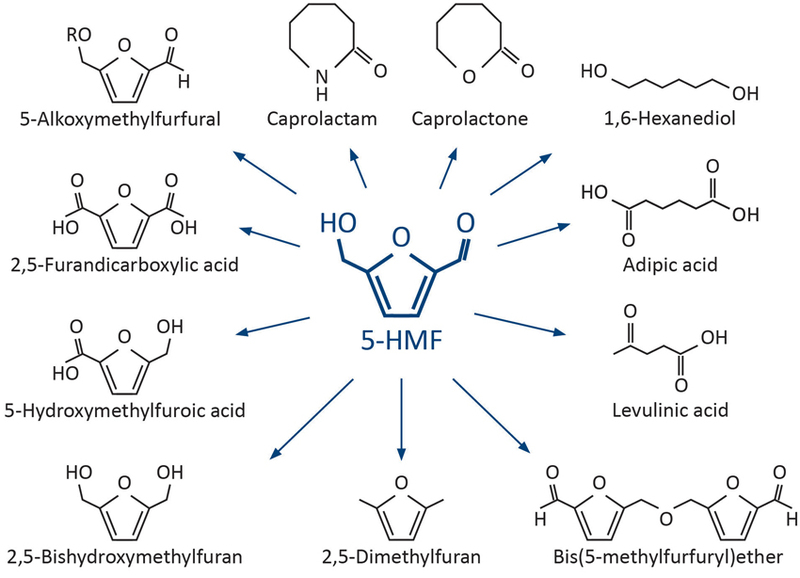 Main role in EnzOx2 TUDresden will focus on fungal peroxygenases, their selection, performance in the conversion of HMF to FDCA and in the oxyfunctionalization of terpenoids including steroids as well as on molecular aspects of their stability. Furthermore TUDresden will collaborate with JenaBios in the production of wild-type peroxygenases and AAOs. 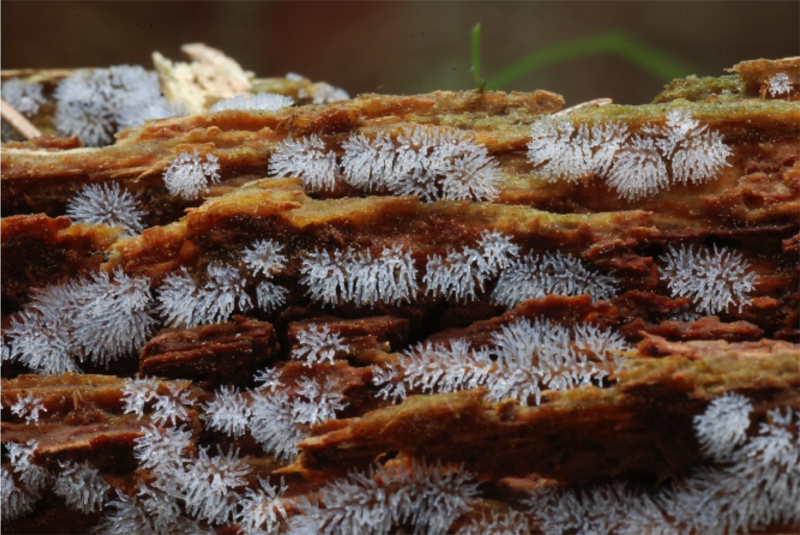 Description of the group JenaBios distributes fungal peroxidases and phenoloxidases for biotechnological applications, research and development. It was founded in 1998 by scientists who wanted to share their proven utilities and experience with the life science community. The company is located in the “High-tech valley” of the traditional university town Jena in Germany and is integrated in a consortium of 3 companies (with more than 20 academics) with several business areas and product fields. Enzymes are produced by fermentation of highly selective fungi and purchased as bulk or partly purified biocatalysts. Applications of ligninolytic enzymes and fungi are oxidative syntheses, degradability tests, modification of natural and synthetic materials, waste treatment in the textile and pulp-paper industry, coloring processes, bioremediation (e.g. of organo-arsenical warfare agents and explosives), oxidative degradation and bleaching processes and nutritional modification of animal feed. Main role in EnzOx2 JenaBios will extend the product portfolio and provide oxidoreductases, e.g. peroxygenases and oxidases, in several purities and immobilization stages. 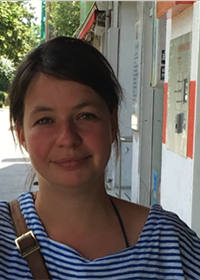 Together with TUDresden, K. Scheibner first described peroxygenases and will develop during EnzOx2 very specific production and isolation strategies. Several biotechnological application perspectives of peroxygenases were patented/described by JenaBios. Director Biochemistry, Firmenich SA, Corp R&D, Route des Jeunes 1, CH-1211 Geneva 8, Switzerland. Description of the group Firmenich is the largest privately-owned company in the perfume and flavor business. Swiss and family owned, we have created many of the world’s favorite perfumes for over 100 years and produced a number of the most well known flavors we enjoy each day. Our consistently superior investments in R&D substantiate our desire to understand, share and reinvent the best of what nature has to offer in the realms of smell and taste. Firmenich has significant expertise in the areas of biocatalysis, synthetic biology and terpene biochemistry. 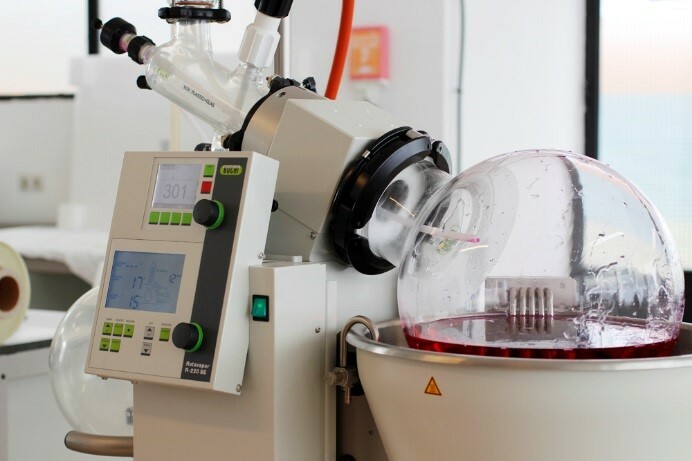 Furthermore, the company has a strong track-record in the development of biochemical transformations to access both perfumery and flavor ingredients. 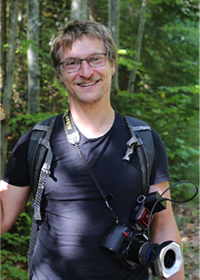 Dr. Andreas Taglieber, who is in charge of a research team developing biotechnological technologies and processes to access flavour and fragrance ingredients in Firmenich, will coordinate the resources and personnel involved in EnzOx2. Main role in EnzOx2 Firmenich will contribute to the project by proposing and supplying substrates that will permit to develop enzymatic transformations which are valuable to the flavour and fragrance industry. It will also perform screenings and further testing of promising enzymes that will be discovered by other project partners and supplied to Firmenich, followed by technical/economical evaluation of the best candidates. Description of the group AVA Biochem, a SME founded in 2012, is a subsidiary of AVA-CO2 Switzerland, founded in 2009. 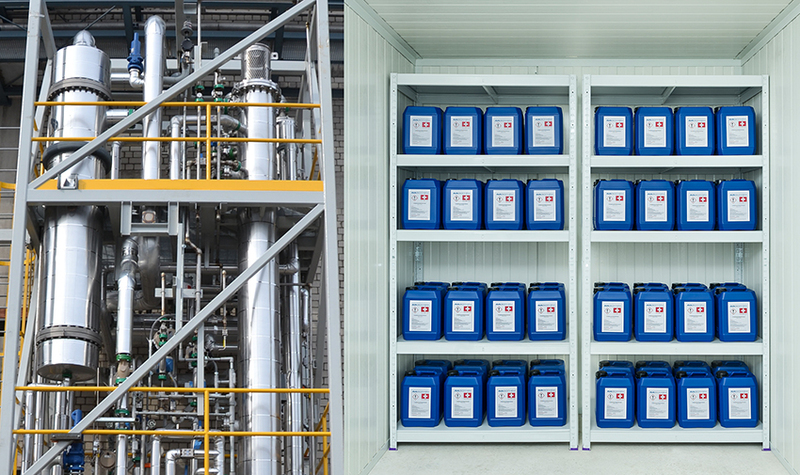 AVA Biochem developed the conversion from biomass to 5-HMF to industry scale. It managed to set up a reliable process and produce a consistent quality of 5-HMF. AVA Biochem managed to stabilize 5-HMF, which was a major problem in the past. A major breakthrough was reached in terms of economic feasibility: the process design makes large scale production (30,000 – 100,000 t/a) possible at a price which is close to comparable petro-based product. Right now, AVA Biochem is selling crystallized 5-HMF in purities of 95-99% on a small scale to research institutions worldwide. Gilbert Anderer will be the person responsible for the AVA Biochem contribution. Other members of the company involved in EnzOx2 will be S. Krawielitzki, V. Wagner-Solbach, J-U Wichmann, F. Badoux and M.-J. Desroches. 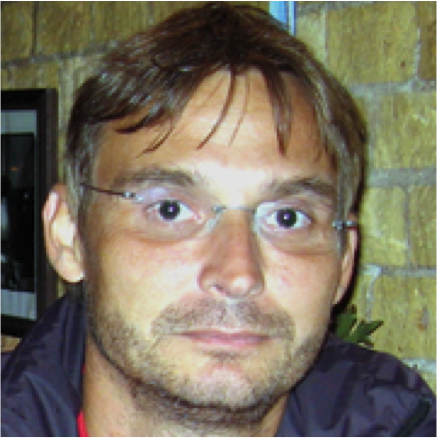 François Badoux optimally combines his economic talent with his knowledge in chemical engineering. He began his career in 1983 at Ciba-Geigy and was then a consultant for 4 years with McKinsey & Co., where he specialized in industrial processes and strategies. Then, he led the International Engineering Consultancy Department at Sete SA, a large private industrial and finance group. After 12 years, he founded Mistral Engines S.A., an aerospace company. There he developed a new generation of light aircraft and helicopter engines to market readiness. 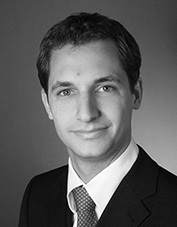 François Badoux has a degree in chemistry from the ETH Lausanne and an MBA from the IMD. Main role in EnzOx2 The main contributions of AVA Biochem will be produced in the supply of different HMF qualities and evaluation of biomass separation/pretreatment technologies, the comparison of these HMF preparations in the enzymatic production of FDCA, and the technical and economic evaluation of the enzymatic technology for FDCA production from HMF, compared with other relevant chemical and microbial technologies. Novozymes Novozymes is world leader in bio-innovation and the world largest producer of industrial enzymes, with a 48% market share. Its over 700 products are used in more than 40 industries to improve processes and quality, and save water, energy, raw materials and waste. In 2015 Novozymes reported sales of 1881 million € and spend around 14% of its turnover on R&D. It is headquartered in Denmark and employs more than 6000 people in 30 countries, with production plants in Denmark, US, China, Brazil and India. Description of the group The Technical Industries R&D group is responsible for enzyme product and process development within a range of industries, including pulp & paper, waste water, leather and biogas. 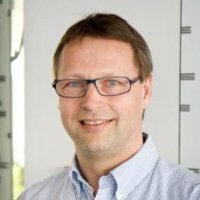 The group (headed by Erik Gormsen) has around 25 people dedicated to the above areas with broad expertise in the field of industrial enzymes. Owik Herold-Majumdar has worked with oxidoreductases, in particular peroxygenases, on designing novel bioanalytical synthesis routes for bulk and specialty chemicals. He will be the key industrial contact and coordinating the enzyme sampling along with assisting in enzyme reaction design. Main role in EnzOx2 The Novozymes contribution will consist in production of different wild-type and engineered enzymes (such as fungal peroxygenases, oxidases, laccases, cellulases/xylanases and isomerase) and their supply to research/academic partners for development and optimization of enzymatic technologies and other companies for their evaluation in the manufacture of renewable polyesters, and some specific F&F ingredients and APIs, among other added value compounds. Description of the group The ‘Biocatalysis Group’ of TUDelft headed by Prof. W.R. Hagen is dedicated to Biocatalysis and Organic Chemistry aims at discovery, design and engineering novel enzymatic pathways leading to target products. To strengthen the focus in the application-oriented research, we have formulated the understanding of the effect of immobilization (stability as well as compartmentalization) of enzymes as a central research line. Themes and topics for specific research projects are inspired by our contacts with industrial partners, as well as contacts with academic colleagues in Europe and world-wide. 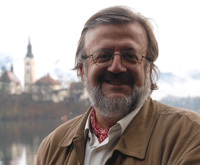 Dr. Frank Hollmann is an internationally renowned expert for the use of enzymes in organic synthesis. His research interests span diverse classes of oxidoreductases for preparative oxidation/reduction and oxyfunctionalization chemistry. The infrastructure of BOC can be described as a combination of base organic chemistry and molecular biology laboratories. In addition, spectroscopy facilities, such as NMR, and EPR are present within the group. For screening of enzymes, a dedicated laboratory is available, that allows performing high-throughput production and assaying of enzymes at advanced safety levels (ML2). 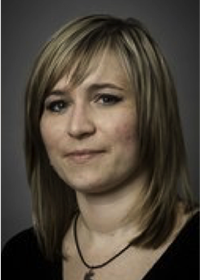 Main role in EnzOx2 Dr. Hollmann will be the scientist in charge (supported by staff of the Department of Biotechnology). The group will be involved in the optimization of the enzymatic reactions towards industrial application. They will act as facilitator between the groups discovering and optimizing new enzymes and the industrial partners wanting to commercialize them. Both, Prof. Hagen and Dr. Hollmann will be actively involved in the project, together with Dr. Florian Tieves, project contract at the BOC group. Description of the group Chiracon is an experienced and independent, privately owned company with in-house technology comprising of pharmaceutical and analytical laboratories. The CEO of the company is Dr. Ralf Zuhse. The company was founded 1998 in Luckenwalde, close to Berlin. The activities of Chiracon are focused on RD, up-scaling and manufacturing of advanced chiral intermediates and active pharmaceutical (APIs) under Good Manufacturing Practice (GMP) conditions for the pharmaceutical industry. The team has four senior scientists, Dr. Thomas von Schrader (chemistry, scale-up), Dr. Stephan Quint (chemistry, development), Dr. Simon Michaelis (chemistry, development) and Dr. Ahmad Tahrani (Pharmacy, analytics and quality control). Chiracon is certified according ISO 9001 since 2000. Serving as a bridge between medicinal chemistry and full-scale manufacturing, Chiracon provides process research services with a core competency in the rapid supply of APIs according to GMP standards. Due to almost 20 years of solid experience in the synthesis of chiral and non chiral APIs for early phase drug development, Chiracon can support their customers through pre-clinical and clinical trials. Main role in EnzOx2 Chiracon will supply steroid raw materials and products/intermediate standards, and provide analytical support, contribute to reaction and downstream optimization, and perform the technical and economic feasibility evaluation for the enzymatic production of a pharmaceutically active ingredient. Description of the group The Group of Environmental Engineering and Bioprocesses belongs to the Department of Chemical Engineering of USC. It can be considered one of the best Environmental Engineering groups in Spain, focusing on four main topics: (i) Environmental Management: Clean technologies and Life Cycle Assessment; (ii) Development, monitoring and control of technologies for wastewater treatment, (iii) Technology transfer for wastewater treatment and bioprocesses, (iv) Ligninolytic enzymes for degradation of recalcitrant compounds. 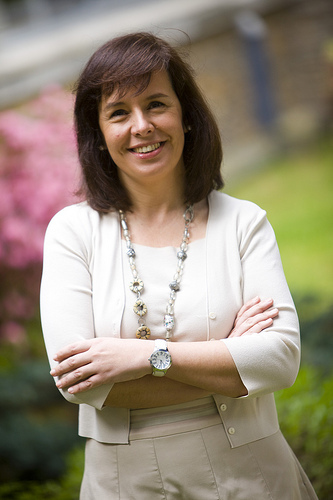 The following people will be involved in the EnzOx2 project: Mª Teresa Moreira (professor with > 210 JCR publications, h-index of 41 and Associated Editor of Journal Cleaner Production); Gumersindo Feijoo (professor with >200 JCR publications and h-index of 42), Yolanda Moldes (PhD student) and María Gamallo (PhD student). Main role in EnzOx2 USC will focus on the immobilization of oxidative enzymes (UPOs, laccase, versatile peroxidases) in different supports and will perform the sustainability assessment of the different production processes developed in the framework of the project. AIMPLAS, a Plastic Technology Center located in Valencia, is a private, non-profit Association with about 450 associated companies (the majority of them SMEs). AIMPLAS has offered its services to the Plastic industry sector since 1990 and, nowadays, has a permanent staff of 110 people. AIMPLAS’ fields of work are related to technological research and development on plastic materials & products and its transformation processes. Description of the group The team has mutidisciplinar senior scientists formed by Dr. Amador García-Sancho, PhD in Organic Chemistry and BD in Pharmacy by the University of Valencia, Dra. 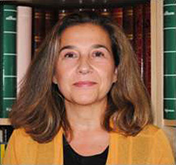 Alba M. Ortiz, European PhD in Chemistry by the Universidad de Alcalá, Dra. Belén Monje, Ph.D. in Organic Chemistry by the University of Valencia, Ms. Itziar Carracedo, Chief Project Manager and Ms. Marta Estellés, Projects Manager. All of them have a wide experience in the synthesis and characterization of polymers and new polymers taking always into account the appropriate cost effectiveness of the polymer synthesis process, optimizing parameters as reaction time, temperature profile, amount of catalyst as well as the post-purification steps. Main role in EnzOx2 The main contribution of AIMPLAS will be in the techno-economic evaluation of the enzymatic technologies developed by other partners in: i) the synthesis of chemical building blocks (such as FDCA and hydroxylated fatty acids); and ii) in the subsequent production of different polyesters (bioplastics) from these building blocks.